We moved on to another Diageo distillery from Speyside – Strathmill. In keeping with our theme, this single malt is rarely found on its own and in this case was bottled by That Boutique-y Whisky Company. Nose – Fruity and was that a bit of sulfur? Sherry brightness, likeable, happy, sugary yet behind all that lightness was a sharpness too. Apricot and leather, woodsy with peach. Palate – Sugar water, then by the 2nd sip had much more personality, sweet, sharp, some oats and a bit nutty. Frankly we just liked it! We set it aside and revisited it together, contrasting and comparing with the others…Here we found the prominent notes that remained was a nice hazelnut and citrus quality. And what do the folks over at That Boutique-y Whisky Company have to say? Nose: Floral honey, lemon zest, grassy malt and biscuit dough. Palate: Sultana and raisin, followed by banana chips and chicory. Finish: Continued banana notes, now with a hint of red chilli. Depending on where you acquire it (if still available), a 50 cl bottle would set you back approximately £90. 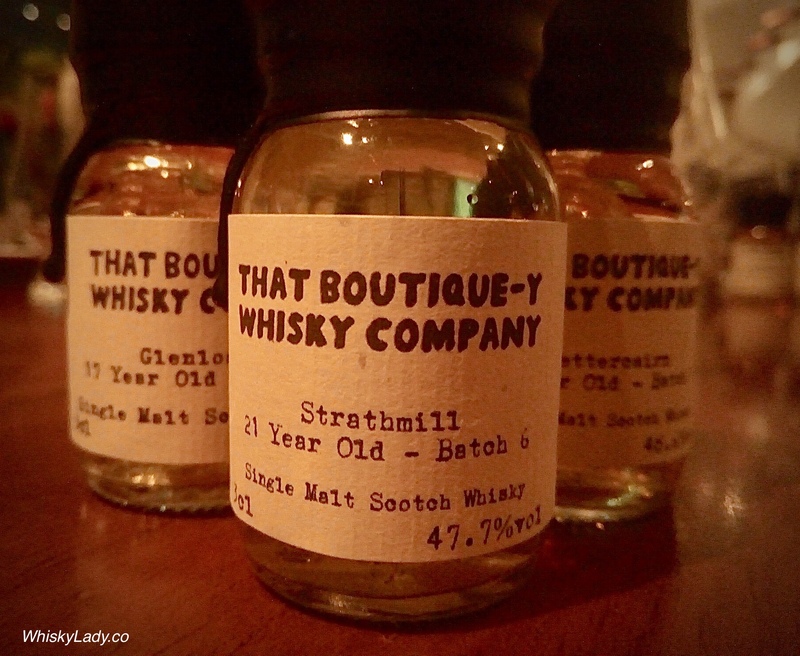 What other That Boutique-y Whisky Company samples did we try?